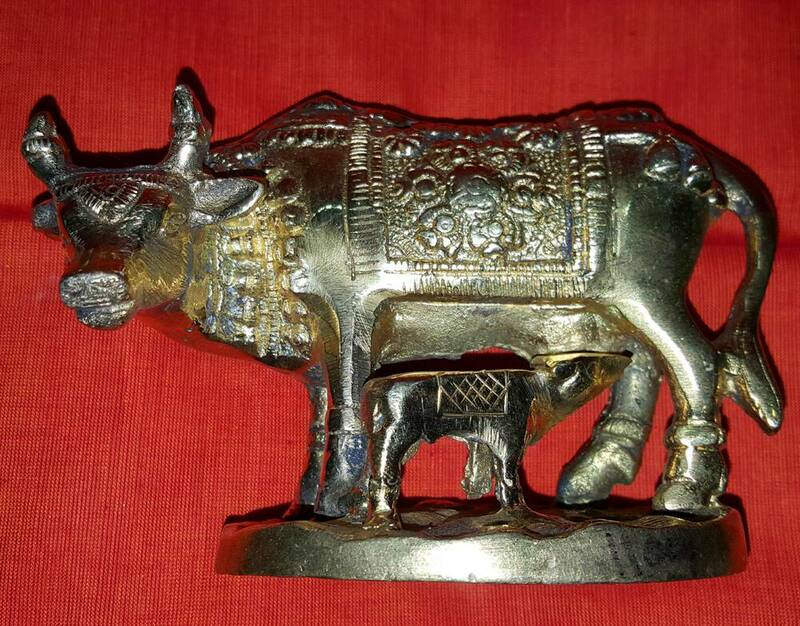 Brass cow with calf with beautiful traditional Indian design carved into it. Good for keeping on alter. Size is approx 3.5 inches by 5 inches.